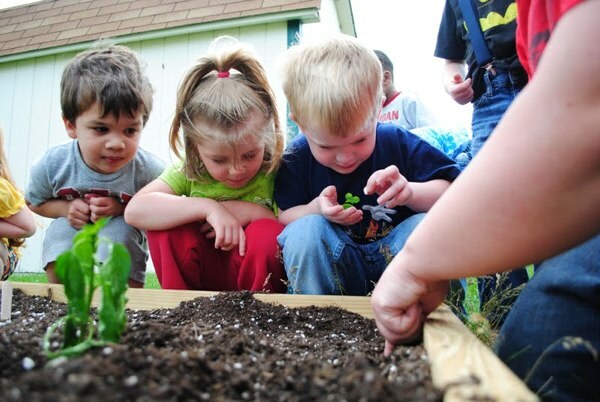 Teaching children about sustainability is just as important at home as it is as school. Giving your children the proper knowledge and tools to live in the changing world is the best thing possible, and providing a good role model at home and school is most important of all. As they say, “children are great imitators, so give them something great to imitate”. At a loss of how to begin teaching your kids about being green and sustainable? The Waste to Energy Systems team has put together a few easy ideas of their own to aid as hands on teaching tools at home or in the classroom. 1. 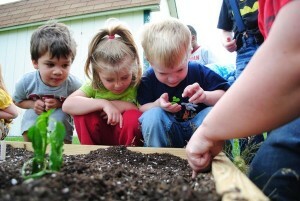 Grow a garden: Growing a garden will help teach children how to be self-sufficient and appreciate where food comes from. Plus, it means they get to play in the dirt which has a whole different set of benefits for the health and overall well being. 2. Volunteer on eco-friendly projects: Volunteering to help plant in a community garden, clean up litter, or maintain the local park will help teach children to appreciate nature and learn that it is important to take action. Not to mention teaching them how to act as part of a team with a common goal to accomplish. 3. Set up a carpool system with other parents: This will teach children not only to help others but to look for ways to be more efficient in their energy usage and prioritizing. 4. Recycle and compost: Explain why recycling and composting help keep unnecessary waste out of landfills not to mention the value of compost for your home or school garden. Set up a fun game where every time they remember to recycle or put food waste in the compost, they get a good mark toward a reward. 5. Go to Farmers Markets: If there is no room for a garden at home or at school, then visiting farmers markets is a great alternative (or addition). Farmers markets will teach children to look for local products first before choosing items that have a larger carbon footprint. 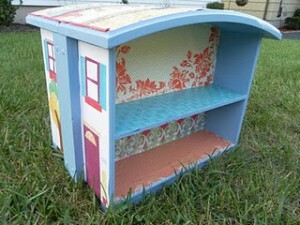 (sourced from babble.com) Old drawer repurposed into a doll house. 6. 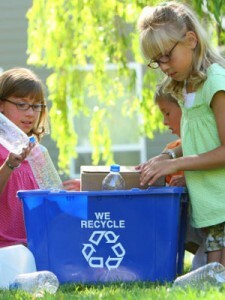 Repurpose old items: Instead of throwing away that old bike tire, wine bottles or that old lamp, teach your child through a fun group project creative ways to repurpose and reuse rather than shy away from a little elbow grease by throwing it in a landfill. This will help teach children to move away from the disposable mentality and learn to buy items that can have multiple uses. 7. Walk and/or bike places: A better choice for those that live in more urban areas. Group walks or bike rides to the park, to get ice cream or simply for exercise help teach kids to think of alternative ways of transportation and to stay fit! Should Kids be Taught Sustainability in School? The Waste to Energy team believes without a doubt that children should be taught sustainability not only at home but at school. Home and school are the two most important learning environments for children and it seems kids are demanding the change in their education. In a recent article “Youth Call for Climate Education to be Taught in Schools”, it discusses how today’s youth is starting to push back against those who do not wish to teach about climate change and sustainability in school. To coincide with Earth Day, the New York City Council, the Environmental Protection Agency (EPA), the Natural Resources Defense Council (NRDC), Alliance for Climate Education (ACE) and Global Kids held a joint press conference this morning on the steps of New York City Hall to push for statewide climate education for K-12 schools in New York. Resolution 0375-2014 calls for climate education to be included in the New York State school curriculum and it currently has 21 of the 26 needed sponsors to pass. According to a report released on Monday by the Yale Project on Climate Change, only about half of Americans (52 percent) think that global warming, if it’s happening, is caused by humans. And, only about one in 10 Americans understands that over 90 percent of climate scientists think human-caused global warming is happening. Campaigns that spread doubt about climate change are winning, but young people see a better path forward: better, early education about climate change. Today’s youth understand that the key to climate action at scale is an informed public, which is why they’re leading the way by demanding that climate change be taught in their classrooms across the country. Research shows us that education remains a fundamental ingredient in ensuring citizens are ready for their leaders to take swift action on climate. It was recently demonstrated in another Yale Project on Climate Change report that there is a strong correlation between senators’ acknowledgement of manmade climate change, and the general public opinion of their constituents. They say “When you change yourself, you change the future.” This is true for Richard Woods, owner and founder of Waste to Energy Systems. His choice to change created a business that would not only improve his family’s future but hopefully, the world’s. Richard Woods owns Albany Woodworks and Waste to Energy Systems. Richard made this type of decision once before in the name of being green. 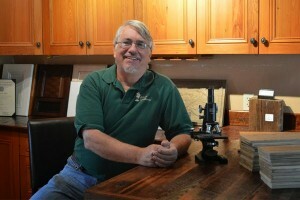 Over 37 years ago, he started his recycled flooring and building materials business, Albany Woodworks. 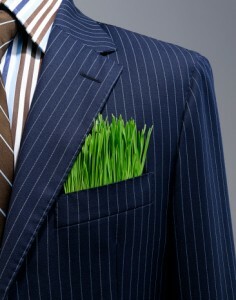 He was committed to green practices in both his business and personal life. About six years ago, he decided having a successful, eco-friendly flooring company, a home built out of recycled building materials, his own organic garden, and his own composting system was not enough. He was unhappy with the sawdust waste his mill created and wanted to harness the untapped power that the sawdust waste held. 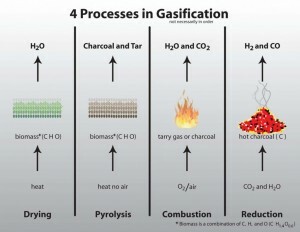 He began researching and came across the gasification process. Armed with a good concept and lots of determination, Richard proceeded to build several of his own small scale gasification systems to see if the technology could be successful. Above is a video of one of the first downdraft gasification systems built by Richard Woods. After several successful builds and interest from his Albany Woodworks customers, he decided to open Waste to Energy systems. His choice to open a business that took on renewable energy issues caused his two daughters to join the ranks of Richard and his wife Judith in the family businesses, making Waste to Energy Systems and Albany Woodworks truly family owned and operated. After 5 years of intense research and development, bioHearth® was born, bringing truth to the old saying “One man’s trash is another man’s treasure.” Richard and his Waste to Energy team continue to improve their methods to produce a system that will provide one of the best answers to the renewable energy problem. How can my community become more eco-friendly? More and more communities are moving toward an eco-friendly lifestyle. Sustainable living communities are popping up all over, where they are specially built to be as green and environmentally friendly as possible. So what do you do when your community is already established but has the drive to change to a more sustainable way of life? Our team at Waste to Energy Systems has compiled a list of easy ways to help your community take the next steps toward sustainable living. 1. Community Gardens and Composting- this offers a two fold solution: it helps reduce garbage sent to landfills by composting food waste and produces fruits and vegetables for the community. If there is not enough space for one large community garden and composting station, the new trend of replacing lawns with gardens would be a great option! 2. Creating a Car Share- Your community can set up its own car sharing program or set up an arrangement with an already established car share company. Many offer this option to communities that are moving in a greener direction. Adding this program is also shown to increase the amount of walking, cycling and use of public transportation of car share communities. This creates a healthier environment and a healthier population! 3. Setting Community Energy and Water Use Goals– By setting a goal for the community as a whole, it will help increase awareness of how much each home uses. This will inspire your neighbors to watch their usage of both electricity and water, which in turn will help eliminate unnecessary waste of both resources. 4. Retrofitting Homes with Energy Efficient Solutions- Turning your roof into a green roof, changing your lighting to energy efficient bulbs, adding efficient insulation to your home or installing a low flow toilet or shower head to conserve water. All these options and more can be used to update your home to be energy efficient. 5. Invest in a Community Renewable Energy Option- Solar panels have always been the go to for residential renewable energy and for a single home, it still is. 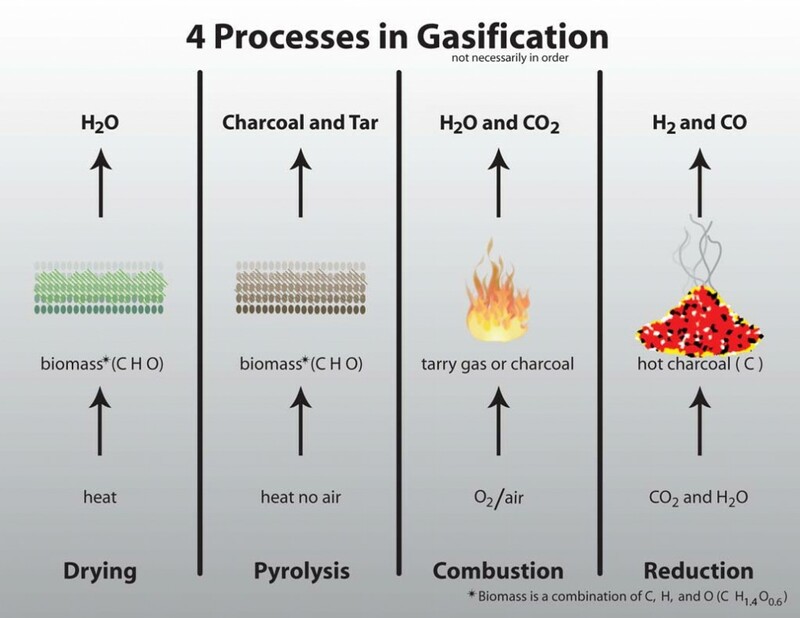 However on a larger, community scale, a new option, which allows communities to rid their neighborhood of waste and create heat and electricity, is a gasification system. 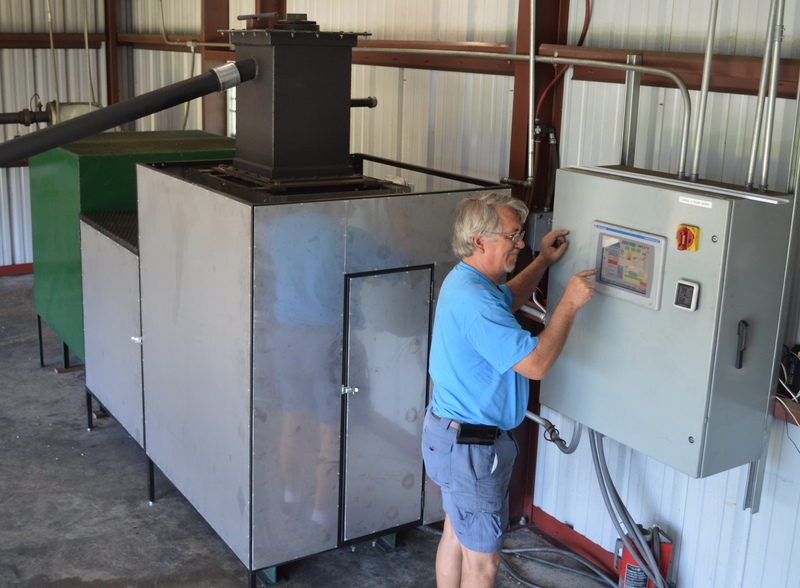 A small scale gasification system like the bioHearth® from Waste to Energy Systems can provide larger communities with a way to have more energy independence. GREEN building methods and materials are typically seen as “new-age” building solutions to age-old building problems. But one of the most visibly “green” building systems being used widely today – the “living roof” or “green roof” – has been in use for millennia. it upon structures to create effective insulating and water resistant roof systems. By creatively using building materials that were readily available to them, these early peoples were able to make robust and superbly efficient shelters for themselves. In the 1960s designers in Germany began to incorporate green roofs into their buildings purely as an aesthetic feature to enhance the beauty of their buildings. In 1970 German landscape architect Hans Luz recognized that these green roofs were far more than a simple decorative coverings and argued that the introduction of living roofs could profoundly improve the quality of the urban environment. The “modern” green roof was born. 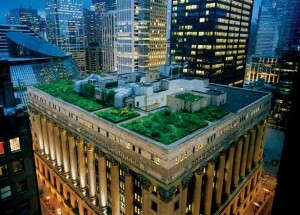 (sourced from National Geographic) From city to home, the green roof design is beneficial. Today, the green roof is gaining mainstream recognition as an ecologically minded system that adds to any sustainable urban management plan. The new Vancouver Convention and Exhibition Centre boasts the largest green roof in Canada and clearly proves that the “living roof” has evolved from being a curiosity to a contemporary, ecologically conscious, architectural expression. 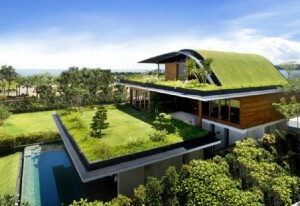 Here are six reasons why a green roof is a realistic, environmentally conscious choice for the modern home. One of the biggest misunderstandings about a green roof is that it negatively affects the integrity of the roof system that it’s placed over. Nothing could be further from the truth. A well designed, correctly installed green roof will protect the waterproof membrane that lies beneath it and, in turn, will extend the overall life of a roof. Storm-water runoff will be greatly decreased with the utilization of a living roof. The growing medium and the vegetation of a green roof retain large amounts of storm water and will release it back into the environment at a far more manageable rate than a regular roof surface. The slow transpiration of water back into the air (as highlighted above) creates a cooling effect that helps reduce the urban heat-island effect. (sourced from greenroofs.com) Pictured Above is the Baltimore Convention Center green roof. Imagine a roof the size of the Vancouver Convention and Exhibition centre having a standard tar and gravel surface and how, on a hot summer day, this roof will absorb solar radiation over the hectares of its surface and re-emit it back into the city as heat. There’s a reason cities are significantly warmer than the areas that surround them. A green roof helps reduce this heat gain. As the Scandinavians of yore knew well, a green roof greatly increases the insulating capacity of a roof system.The added mass and thickness of a living roof will provide excellent sound insulation for a home. A living roof will provide a habitat for birds and insects and act as a natural carbon sink, drawing carbon dioxide out of the air. For some, the living roof can even be used as a resource for growing their own food. The idea of stepping out on the roof to snip some cilantro is an enticing one. Waste to Energy Systems believes there is not one answer for a greener future. It will take a green alliance between all the methods and technologies out there to ensure that we create a better environment. In honor of World Ocean Day, the Waste to Energy team wanted to dedicate our daily blog to why the oceans are so important and why we should protect them. Whether you are landlocked or live coastal, the oceans play a role in everyone’s lives. Many scientists say the ocean is at a tipping point. Oceanographer Sylvia Earle says our actions over the next 10 years will determine the state of the ocean for the next 10,000 years. Here are the top 5 reasons we should make protecting our oceans a focal point. Reason # 1: The air we breathe. Oceans are a critical player in the basic elements we need to survive. Ocean plants produce half of the world’s oxygen, then these amazing waters absorb nearly one-third of human-caused carbon dioxide emissions. Oceans also regulate our weather and form the clouds that bring us fresh water. Reason #2: The food on your plate. Besides seafood, oceans are connected to what you eat in many more ways. Ocean ingredients, like algae and kelp, are used in making peanut butter, beer, soymilk and frozen foods. Plus, 36 percent of the world’s total fisheries catch each year is ground up into fishmeal and oil to feed farmed fish, chickens and pigs. The ocean is the #1 source of protein for more than a billion people. Reason #3: The items in your medicine cabinet. You’ll find ocean ingredients flowing out of your medicine cabinet in everything from shampoos and cosmetics to medicines that help fight cancer, arthritis, Alzheimer’s, heart disease, viruses and other diseases. Reason #4: Jobs and the economy. One in six jobs in the United States is marine-related and more than $128 billion in GDP annually results from ocean tourism, recreation and living resources. Healthy marine habitats like reefs, barrier islands, mangroves and wetlands help protect coastal communities from the results of hurricanes and storm surges. Reason #5: A shared resource. While many of us enjoy the spectacular recreational activities that oceans offer, for some people oceans are a lifeline for survival. Keeping oceans healthy keeps people healthy, and we each have a personal responsibility to protect our oceans. The Waste to Energy team believes in a sustainable, healthy world, by land or sea. By reducing our impact on land through concepts like recycling and renewable energy, we will aid in protecting the most important resource the Earth has. Top 10 Greenest Companies in the U.S.
Newsweek recently released it list of the top 10 greenest companies in the US. Let’s take a look at the top 5 companies taking the biggest strides toward sustainable business and how they are doing it. 1. Biogen, one of the oldest and largest biotechnology companies in the world, has taken first place as this year’s greenest company in the US. Biogen’s sustainability goals fit within the context of broader sector, geographic and ecological limits. This has driven Biogen to significantly reduce its environmental footprint while still growing its business. Recognizing the heavy demands on water made by the biotech sector, Biogen has worked to reduce water usage across its operations. Its Research Triangle Park, North Carolina, facility features a 100,000-gallon cistern to harvest rainwater for irrigation, significantly reducing municipal water consumption. In its two main labs in Cambridge, Biogen has opted for an innovative approach. The building housing them saves the condensate water produced by the facility’s heating, ventilation, air conditioning and refrigeration units—some 2.4 million gallons of water—and uses it in the facility’s cooling towers (newsweek.com). 2. Allergan, a health care company most well known for making botox, has fallen from first place 2nd this year. As the botox market rockets, Allergan is focusing a large part of their profit and attention on becoming more sustainable. Allergan started several energy efficiency projects and improved their waste management strategies drastically in recent years. A new solar panel installed at their Irvine, California HQ reduced electricity consumption by 11% from 2011 to 2012. On top of working within their own company to stay green, Allergan participates in numerous programs to help other companies improve their energy efficiency (sustainability-certification.com). 3. Adobe, the well known IT giant, is number 3 on the list. In 2012, Adobe became carbon neutral. This came 2 years before their original goal of 2015. In the past 12 years, Adobe has completed more than 180 energy efficiency projects that have reduced electricity use by 50 percent, natural gas use by 30 percent, domestic water use by 79 percent and irrigation water use by 71 percent. Adobe has also invested in renewable-energy technologies, including Windspire wind turbines and Bloom Energy fuel cells to help power several of its California facilities. These projects plus the continuous strive for new ways to be efficient and sustainable are why Adobe makes the top 5. 4. Broadcom Corporation, another IT company, has joined the ranks of greenest companies along side fellow IT company, Adobe. Broadcom designs and develops the integrated circuits that facilitate modern digital communications.The company has committed to increasing its energy efficiency and reducing natural-resource consumption, greenhouse-gas emissions and other negative environmental effects associated with the company’s global real estate portfolio. One way Broadcom is delivering on this promise is reducing water consumption. For example, its Irvine, California, headquarters uses more than 17 million gallons of reclaimed water for landscape irrigation annually—making it the largest user of reclaimed water in the city of Irvine (newsweek.com). 5. Sigma-Aldrich is a life science and advanced-technology company that manufactures a huge array of products used primarily in scientific research, biotechnology and pharmaceutical development. In recent years, the company has doubled down on its commitment to reduce water use; a recent project to improve steam use and boiler efficiency at the company’s headquarters in St. Louis led to savings of over 4,000 cubic meters of water in 2012. They also created a project that helps them to identify chances to reduce carbon emissions and fuel consumption by using the sea instead of the sky for shipping. Here at Waste to Energy Systems, we think it is important to recognize companies that are making sustainable efforts to learn and grow together as a green community.